On May 29, 2012, the New York Times published a long report (based on interviews with three dozen current and former Obama administration advisers) revealing how President Obama personally authorizes every drone strike against individuals suspected of being terrorists. Every Tuesday, the President, with two dozen counterterrorism officials, pore over mug shots and biographies of each suspect. The goal of these meetings is to determine which of these suspects is enough of a national security threat to warrant kill or capture — of which, the New York Times puts it, “the capture part has become largely theoretical”. As I read the article, I couldn’t help but think of the popular Japanese manga “Death Note” (which also became an anime series, a live-action film, and was banned in China). “Death Note” is a perfect allegory for the insidious moral implications of Obama’s targeted killing policy. The human whose name is written in the notebook will die. In order for the human to die, the writer must have the person’s face in their mind. This will prevent people sharing the name from dying. If the cause of death is written within 40 seconds after writing the person’s name, it will happen. If the cause of death is not specified, the person will die of a heart attack. After writing the cause of death, details of the death should be written within the next 6 minutes and 40 seconds. Light is initially skeptical of the notebook’s effects, however, curiosity gets the best of him. While watching a criminal hold a group of people hostage in a building live on television, Light writes the name of the criminal down in the notebook to test its powers (after seeing his picture on TV, of course). Within 40 seconds, the criminal dies of a heart attack and the hostages are safely rescued. Light is, obviously, shocked to discover that notebook’s powers are real. Suddenly, the shinigami Ryuk appears in front of Light. He tells Light that since he used the notebook then it belongs to him. In addition, since Light is the notebook’s owner, he is the only one who can see Ryuk. With the power of the Death Note in his hands, Light decides to use it for a higher purpose — to make the world better by killing evil people. In this new world, Light will be a god who punishes those who are evil. Light uses the notebook to kill criminals. He kills inmates in prison (including those on death-row), random criminals on the street, those acquitted of crimes, and even those who haven’t escaped the justice system, such as suspects in ongoing criminal investigations. Some of the criminals committed serious crimes, like murder, while others committed petty ones, such as purse-snatching. Light uses his own personal judgment to decide who is good and evil. Because he has the Death Note in his hands and views himself as a god, Light believes it is his duty to kill those he deems to be evil. As criminals die left and right from heart attacks, the media and INTERPOL suspect that someone is behind the string of deaths. They refer to the mysterious assassin as “Kira” (Japanese for “killer”). The Japanese police form a task force led by the world’s greatest detective, a mysterious young man known as “L” to catch Kira (actually, “L” is a codename for more than one person but I don’t want to spoil the story). Light’s father, Soichiro, is one of the members. As the Japanese police pursue Kira, Light takes notice. Seeing this as a hindrance to his plans, Light begins killing people who might expose him as Kira and bring him to justice. This includes killing an entire 12-person American FBI team sent to Japan to pursue Kira plus the fiancee of one of the FBI agents (a Japanese woman who used to be an FBI agent working with L). Light justifies these reprehensible acts by saying they are necessary steps to building a better world and preserving his god status. The entire story revolves around a cat-and-mouse game between Japanese police, led by L, and Light/Kira. L consistently suspects that Light is Kira, while Light adamantly denies it in front of L. Despite this, L lets Light join the investigation to track down Kira, believing Light’s deductive reasoning skills are useful. Light, on the other hand, uses this as an opportunity to get close to and defeat L. This game of wits and deductive reasoning drives much of the story. Obviously, I don’t want to give too much of the story away but I do want to highlight the overarching theme that connects with Obama’s targeted killing policy. That theme is the implications of giving the godlike power to kill to humans. Initially, Light had the best intentions for using the Death Note. He wanted to kill people he believed were evil and create a better world for those who are good. From the beginning, this was flawed because Light’s view of evil (as is any human’s view of evil) is based on his own human imperfections and biases. Moreover, his idea of good and evil was Manichaean and simplistic. Humans are complicated and flawed creatures whose decisions are influenced by multiple factors. People are capable of committing very terrible acts but that doesn’t mean the human species can be split neatly between “good people” and “bad people”. Also, in the story, Light did not just kill violent criminals. He also killed inmates and criminals who committed nonviolent offenses, such as purse-snatching or embezzlement. While these are surely bad things to do, they do not warrant death as punishment. In addition, by killing inmates, there is the possibility that he killed people who were wrongfully convicted. This also pokes a major hole in Light’s Manichaean view of the world. Therefore, it was foolish of him to think he could create a perfect world free from evil by simply killing those he deemed to be evil. As the story progressed, Light becomes increasingly malevolent, cruel, and manipulative. He uses the Death Note to demonstrate to the world, particularly his adversaries, of how powerful he is by killing anyone he wants. As mentioned earlier, he killed people who got in the way of his ambitions, such as police trying to track him down (that is, as long as he’s sure he can get away with it without anyone figuring out that he is Kira). This immediately removed initial suspicions police had that Kira was motivated by justice. In addition, Light would give the Death Note to other individuals, such as a power-hungry corporate executive, for his own advantage in certain situations (mainly when he had to remove any evidence that could show he is Kira). Those people would use the notebook for less noble purposes, such as for power and profit. He also uses friends, lovers, and relatives to further his plans of being a new world — even if it means they’ll die. Killing people is wrong because of the immense suffering it brings. Moreover, the power to kill is corrosive, as those who wield it begin to love and abuse it. This important lesson applies to Obama’s targeted killing policy. The New York Times article details how Obama decides who to kill. Every week, “more than 100 members of the government’s sprawling national security apparatus gather, by secure video teleconference, to pore over terrorist suspects’ biographies and recommend to the president who should be next to die.” The video conferences are run by the Pentagon, which focuses on “suspected members of Al Qaeda’s branch in Yemen or its allies in Somalia’s Shabab militia.” The Central Intelligence Agency (CIA) conducts a similar selection process largely focusing on Pakistan, which is where the agency conducts its strikes. Finally, the nominations go to the White House, where “by his own insistence” and guided by his counterterrorism advisor John Brennan (a former CIA official who supported the Bush administration’s use of torture), President Obama “must approve any name” and “signs off on every strike” in Yemen, Somalia, and a third of the strikes in Pakistan. The reasoning for this is, the article says, “A student of writings on war by Augustine and Thomas Aquinas, he believes that he should take moral responsibility for such actions. And he knows that bad strikes can tarnish America’s image and derail diplomacy.” Obama apparently also has a “striking self-confidence”, believing that “his own judgment should be brought to bear on strikes.” When asked by the New York Times what surprised him most about Obama, National Security Advisor Thomas E. Donilon answered, “He’s a president who is quite comfortable with the use of force on behalf of the United States”. Obama’s personal approval of every drone strike is similar to Light’s Death Note. While Light writes down names of who to kill in his Death Note, Obama has a list of individuals suspected of ties to terrorism that he approves for death. Unlike Light, Obama does not seem to picture himself as a god working to create a brand new world but rather a president trying to protect his country’s national security. On the other hand, both Obama and Light share an extreme self-confidence in their belief that they are the right person to judge who should live and die. In addition, they are both very comfortable exercising their power to kill. What is far more disturbing is the Obama’s administration’s method for counting civilian deaths. According to the New York Times piece, the method “counts all military-age males in a strike zone as combatants…unless there is explicit intelligence posthumously proving them innocent.” This approach is based on simple assumption: “people in an area of known terrorist activity, or found with a top Qaeda operative, are probably up to no good.” So innocent villagers who just happen to in the same area as al-Qaeda operatives are assumed to be “up to no good”. This is why the Obama administration claims so few civilians have been killed by drone strikes (between zero to civilian deaths in the “single digits”, as they claim) — because it assumes every person it kills is a militant, until they’re proven innocent after death. As the Philadelphia Daily News‘ Will Bunch aptly pointed out, this is the same thing George Zimmerman said before he killed Trayvon Martin — he assumed Trayvon was “up to no good” and deserved to be pursued and killed. Unfortunately, that resulted in the death of an unarmed teenager. This mindset is incredibly flawed, and even dehumanizing, because it broadly labels anyone killed by a U.S. drone strike a “terrorist”, even if that person is innocent. In addition to embracing a far too broad definition of “combatant” or “militant”, Obama also approved “signature” strikes. While “personality” strikes are aimed at high-level terrorists whose identities are known, “signature” strikes are aimed at individuals whose identities are not known but, rather, are based on patterns of life and behavior. Signature strikes are embraced by the CIA, which they largely carry out in Pakistan. Recently, the Obama administration allowed the CIA and U.S. military to expand the use of signature strikes in Yemen. Some State Department officials complained to the White House that “the criteria used by the CIA for identifying a terrorist ‘signature’ were too lax.” The Times article says, “The joke was that when the CIA sees ‘three guys doing jumping jacks,’ the agency thinks it is a terrorist training camp, said one senior official. Men loading a truck with fertilize could be bombmakers — but they might also be farmers, skeptics argued.” There was a debate within the Obama administration, between State Department officials, who favored personality strikes, and the CIA, who favored signature strikes. Obama took the CIA’s side and has embraced the use of signature strikes. The combination of a loose definition of “combatant” and expansion of signature strikes (predictably) results in massive civilian deaths. According to the Bureau of Investigative Journalism, of the, so far, over 300 total drone strikes (most of which launched by Obama), somewhere over 3,000 have reportedly been killed in Pakistan, Yemen, and Somalia. Of those killed, somewhere between 500 and over 900 were civilians. Considering the Bureau’s conservative methodology of counting civilian deaths, the government’s lax definition of “combatant”, and the expansion of signature strikes, it is very possible (and almost certain) that the civilian casualties from drone strikes are much higher. With the increasing number of strikes, civilian casualties will surely increase. Last weekend, the beginning of June, the U.S. launched multiple drone strikes in Pakistan (the North and South Waziristan regions, specifically) within three consecutive days. The U.S. and Pakistani governments claim that a senior al-Qaeda leader, Abu Yahya al-Libi, a Libyan militant, was the target of the strikes. Abu Yahya was, in fact, killed by one of the strikes. However, over two dozen people were also killed, many of whom were possibly civilians. One of the strikes killed a group of ten people who gathered to mourn the deaths of one of two suspected militants killed in a drone strike that occurred the previous day. Unfortunately, this is not an aberration. The CIA has a policy of doing follow-up strikes (also called a “double-tap”), in which they launch one strike shortly after another one, and deliberately targeting rescuers and mourners. It’s one, very sad thing to accidentally kill civilians but to deliberately target rescuers and mourners (based on the absurd assumption that they must be “up to no good”) reaches another level of moral bankruptcy and inhumanity. Keep in mind that these strikes are personally approved by President Obama. What the New York Times article referred to as “The Ultimate Test” came when Obama had to justify killing Anwar al-Awlaki, a U.S. citizen, born to Yemeni parents, who became a propagandist for al-Qaeda and was hiding in Yemen. As a U.S. citizen, he was entitled to U.S. constitutional protections for due process outlined in the Fifth and Fourteenth Amendments. However, the Obama administration felt it was necessary to kill him because they claimed he was highly involved in plotting terrorist activities with al-Qaeda. Yemen experts, such as Gregory Johnsen, disputed this. To get around the constitutional protections, the Justice Department’s Office of Legal Counsel prepared a memo “asserting that while the Fifth Amendment’s guarantee of due process applied, it could be satisfied by internal deliberations in the executive branch.” Attorney General Eric Holder recently claimed publicly that “‘due process and judicial process’ are not one and the same, particularly when it comes to national security. The Constitution guarantees due process, not judicial process.” So rather than have a court decide whether or not someone is guilty of committing terrorism and worthy of punishment by death, the Executive Branch of the U.S. government has arrogated this power unto itself. Last September, Obama exercised that power by approving a drone strike (carried out by the CIA and Joint Special Operations Command (JSOC)) that killed Anwar al-Awlaki and Samir Khan, another U.S. citizen who was with him. For President Obama, the decision to kill an American citizen was “an easy one”. Two weeks later, the U.S. launched another drone strike that killed Anwar al-Awlaki’s 16-year-old son, Abdulrahman, in Yemen. It is worth pointing out that Samir Khan and Abdulrahman al-Awlaki were not targets nor deemed to be serious threats to U.S. national security. What is terrifyingly pernicious about this is that the Obama administration has set a precedent establishing that it is okay for the Executive Branch to assassinate U.S. citizens with no due process. Future presidents will surely utilize and abuse this power. There is something else worth pointing out from the New York Times piece. This involved the case of a Pakistani Taliban member, Baitullah Mehsud, who was fighting the Pakistani government. The case posed two problems for Obama’s targeted killing criteria. First, as someone fighting against the Pakistani government, Mehsud did not pose an imminent threat to the United States. But, the article points out, “Pakistani officials wanted him dead, and the American drone program rested on their tacit approval”. Secondly, a strike against him did not meet Obama’s criteria of “near certainty” that no civilians would be killed. Since he was with his wife at his in-laws’ house, it was very likely that innocents would be killed. The Obama administration found clever ways around these problems. The first issue was resolved when “the president and his advisers found that he represented a threat, if not to the homeland, to American personnel in Pakistan.” As for the second issue, the likelihood of innocent deaths didn’t seem to worry Obama because he ordered the strike anyway. Mehsud was killed, along with his wife and, possibly, other family members. This is also not an aberration. In Yemen, the government, led by former dictator Ali Abdullah Saleh, used U.S. drone strikes to take out opponents of the regime. All Saleh had to do was tell the U.S. that certain regime opponents were “terrorists” and the U.S. would launch a drone strike against them. So these drone strikes are not just focused on imminent threats to the U.S. nor even individuals who are actually al-Qaeda figures — many are carried out against opponents of regimes allied with the U.S.
Obama’s targeted killing policy is dangerous for several reasons. For one, the policy is counterproductive to its stated aim of combating terrorism. Rather than defeating terrorism, U.S. drone and airstrikes (drones are not the only weapon in the U.S.’s global counterterrorism war — other aircraft and ships are used) have increased sympathy for al-Qaeda and other militant groups. In 2009, before Obama began launching missile strikes on Yemen, there were no more than 300 members of al-Qaeda in the Arabian Peninsula (AQAP). Once Obama began and expanded missile strikes in Yemen, AQAP’s strength has increased to 700 or more. As drone strikes kill more people in Yemen, especially civilians, anger at the U.S. grows among tribal groups and individuals who previously had no affinity for al-Qaeda. As Mohammed al-Ahmadi, a human rights lawyer in Yemen told the Washington Post, “Every time the American attacks increase, they increase the rage of the Yemeni people, especially in al-Qaeda-controlled areas…The drones are killing al-Qaeda leaders, but they are also turning them into heroes.” A very similar phenomenon is occurring in Pakistan as a result of U.S. drone strikes. “But according to his relatives, the man was a 19-year-old named Nasser Salim who was tending to his farm when Quso arrived in his vehicle. Quso knew Salim’s family and was greeting him when the missiles landed. In addition, another Washington Post article reports that the Obama administration embraced a “broader definition of what constitutes terrorism”. Now it’s striking not just “high-value” targets but also “lower-level figures who are suspected of having links to terrorism operatives but are seen mainly as leaders of factions focused on gaining territory in Yemen’s internal struggle.” By embracing a very broad definition of “terrorism”, expanding signature strikes, and assuming every person it strikes is a “militant”, the United States government is killing more innocent people, angering local populations, and increasing their sympathies for al-Qaeda and similar militant groups. Therefore, this policy is dangerously counterproductive and making the United States less safe. Secondly, Obama’s targeted killing policy violates human rights and is profoundly immoral. 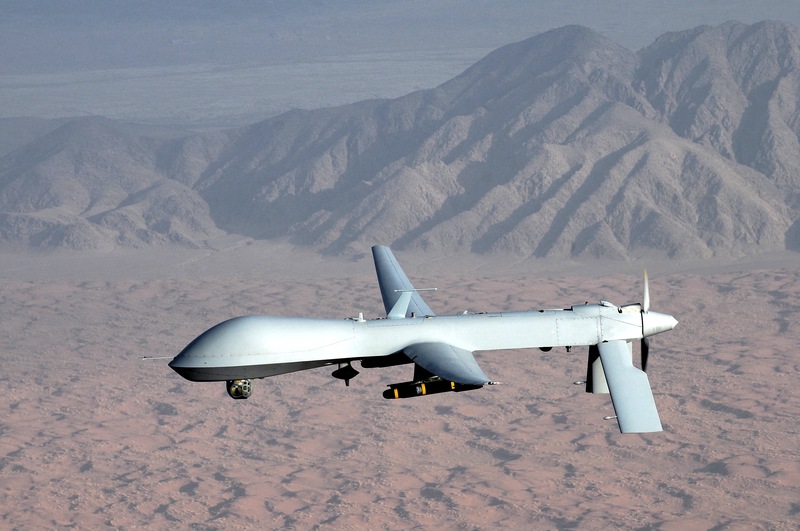 Targeted killing and drone strikes can be lawful, in the context of a lawful war. If a country were to declare a war against another country by either getting a United Nations Security Council approval for an attack or attack another country in self-defense (and, in the U.S., get Congressional approval), it could lawfully engage in targeted killing. However, it must in line with international humanitarian law (or laws of war). That means the killing should be against a military target (combatants), not hit civilians, and be proportionate to the broader military objective without inflicting unnecessary harm to civilians. However, the U.S. did not declare war against any of the countries it’s carrying out targeted killings in — Pakistan, Yemen, and Somalia. The U.S. claims it is “at war” with al-Qaeda, the Taliban, and other “associated forces” but these entities are not countries or armies and it is hard to fight a war against such a nebulous force. They are non-state actors with loose affiliations in many countries around the world. Under international law, it is very hard and nearly impossible to declare a war against these groups because doing so would entail declaring war on the entire world. The right to life is a human right and must be upheld. Outside of a war context, targeted killing is lawful to protect lives against an imminent threat and used as a last resort when non-lethal means are unavailable. Otherwise, targeted killing is illegal because it violates the right to life and, thus, is also wrong on a moral level. Philip Alston, the former U.N. Special Rapporteur on extrajudicial, summary or arbitrary executions, stated, “the use of drones for targeted killing is almost never likely to be legal…[and] would be very unlikely to meet human rights law”. Because Obama’s drone strikes have hit hundreds of innocent people and militants that do not pose an imminent threat to the United States, the administration’s targeted killing policy does not meet basic human rights standards. Therefore, Obama’s targeted killing policy violates human rights and is immoral. Finally, Obama’s targeted killing policy is deeply authoritarian. Like Light from “Death Note”, Obama has arrogated a god-like power unto himself — the power to kill people, including U.S. citizens, on his own will. There is very little transparency, accountability, or traditional checks and balances on his power. The power to kill, the power to act as judge, jury, and executioner, rest in his hands alone. This the most extreme power any politician can seize. While Obama does not seek to be the god of a new world the way Light did, his targeted killing power is god-like because of its unchecked and tyrannical nature. In order to kill people, Light wrote their names in a notebook. Obama checks a list of names and approves those whom he thinks should be killed. In that way, Obama’s Kill List is like Light’s Death Note and Light’s Death Note is like Obama’s Kill List. Both exercised their power to kill in abusive ways. Light not only killed dangerous criminals, he also killed petty criminals, people who were possibly innocent, and people who got in the way of his ambitions. Obama does not just kill dangerous terrorists. He kills innocent civilians, such as rescuers and mourners, low-level al-Qaeda figures, people with little to no affiliation to al-Qaeda, and enemies of the Pakistani and Yemeni governments, regardless of the threat they pose to the United States. Light and Obama let their respective powers to kill go to their heads and exercised them in abusive ways. In addition, like the Death Note, Obama’s Kill List can switch hands. 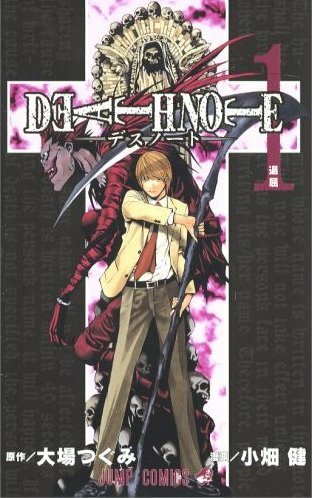 Light was not the only person to use the Death Note in the story. After Obama leaves office, that power will transfer to another president, either Democrat or Republican. There is no guarantee that they won’t abuse their power. These are the dangerous implications of putting the power to kill in the hands of anyone. Those wielding that power will be abuse it and kill innocent people. Fortunately, “Death Note” is a work of fiction. There is no such thing as a Death Note. So there’s no need to worry about someone walking around with a Death Note and killing random people left and right. However, Obama’s Kill List is real and it is killing real people. Obama’s targeted killing policy is counterproductive, deeply authoritarian, profoundly immoral, violates human rights and the U.S. Constitution, and inflicts massive human suffering. This tyrannical power to kill should not be given to anyone. Therefore, this policy needs to stop. If a person follows article and related issues, then it’s an argument to vote against both Obama and Romney. Of the three presidential candidates for 2012, the only one that opposes the drone strikes, is Gary Johnson. oh woah… D: please excuse me while i close my mouth 🙂 i love it. thank you for sharing this. Thanks so much for this, Adam. Very well thought out and supported. I hope you’ll also send it directly to the various groups most involved in opposing the Obama administration’s illegal, immoral drone war, and to reporters who cover it. Great work Adam! Insightful and unique perspective/analogy. Oxford Occupation in Solidarity with Gaza!